We take protecting your personal and financial information seriously at The Savings Bank. 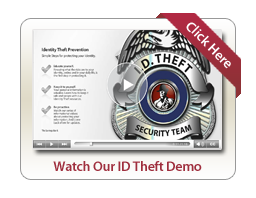 At the same time, there are measures that you can, and should, take to protect yourself and your loved ones from identity theft and fraud. Anytime you think that there may be a problem, feel free to contact your local Branch at The Savings Bank for guidance. It has come to our attention that a fraudulent email has been circulating both within the United States and Internationally, attempting to entice unsuspecting individuals to provide personal and confidential information, including bank account information, in exchange for a sum of money. The email has been fraudulently sent under the name of Robert DiBella, President and CEO of The Savings Bank. Please know that The Savings Bank does not ever ask for personal and confidential information via email, mail or phone. If you receive a solicitation that you believe to be fraudulent, please contact your local police department and contact The Savings Bank at 781-224-5425.